China Henan Xinxiang Keji Co., Ltd.
ChinaInOut (http://www.chinainout.com) is a world leading website providing import & export service. Attached to China Sinx Group (HK) Co. Ltd., it is a new type e-business service platform, providing world outstanding enterprises with e-commerce and marketing consultation service. based in Zhengzhou-one of the first five cross-border e-commerce trade pilot city, our company is able to offer high-level services for world companies because of our location, a logistics hub with the perfect integration of railway, highway and aviation. Chinainout.com aims at building a comprehensive and high efficient service platform for the global import and export enterprises. 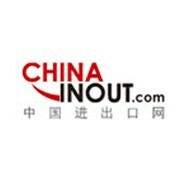 Together with Chinainout.com, we are ready to provide brand promotion services, supply and demand information services as well as business expanding service so as to improve the sales of our clients.